Dubai Court of Cassation Judgment: When is the right to invoke arbitration waived? UAE Civil Procedure Law provides that the plea of lack of jurisdiction based on the existence of an arbitration clause must be made to the court at the first court hearing or else the right to invoke arbitration will be waived. In Dubai Court of Cassation, Commercial Appeal No. 79 of 2017 dated 05.03.17, the court held that the Respondents had not waived their right to invoke arbitration by not raising the plea of lack of jurisdiction before the Centre for Amicable Settlement of Disputes (CASD). 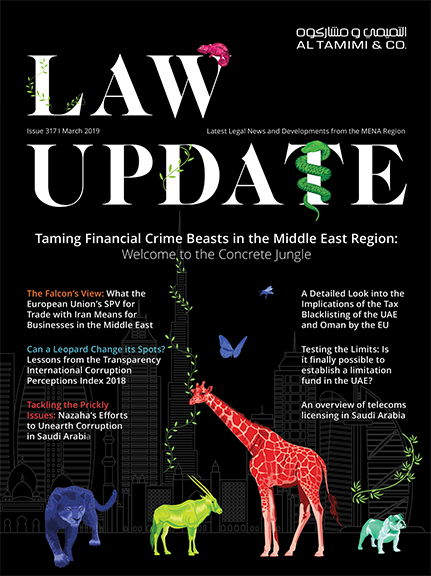 The CASD was established by law and entrusted with the task of attempting to mediate disputes, prior to such disputes being referred to the UAE court. The Court of Cassation confirmed that the CASD is not a tier of litigation but is considered as an alternative avenue for the resolution of disputes. In the court’s view, it was not therefore essential for the plea of lack of jurisdiction (based on the existence of an arbitration clause) to be raised at this level of proceedings and a party could still raise it at the first court hearing. The test for granting a request to dismiss a case based on the existence of an arbitration clause is discussed, below. The Appellant (a manufacturing company) brought Commercial Action No. 2005-2015 against the Respondents (two corporations) before the CASD seeking judgment against them jointly for AED 6,460,661.81. Pursuant to a contract, the Respondents commissioned the evaluation, supply, operation and testing of a LED lighting system for a project. The Appellant executed the contract work and was owed a sum of AED 20,292,307.71, of which the Respondents paid AED 13,831,645.94, leaving an outstanding balance of AED 6,460,661.81. The matter, on referral from CASD, was registered as Commercial Action No. 217-2016 (Full Bench). On 28.02.16, the First Respondent filed a reply before the Court of First Instance arguing that the action should not be heard due to an arbitration clause and that it shouldn’t be entertained either for having been brought by a party who lacked capacity against a party who lacks capacity. On 18.04.16, the Court of First Instance dismissed the action due to the existence of the arbitration clause. The Appellant appealed (Commercial Appeal No. 761-2016) and on 28.11.16, the Court of Appeal dismissed the appeal and upheld the primary ruling. The Appellant appealed again on 22.01.17 and the Second Respondent filed a defense brief seeking dismissal of the appeal, adding that they were not a party to the arbitration clause/contract with the Appellant in question. The Court of Cassation held that it is well established that the trial court has full discretion to interpret writings, agreements, documents, and clauses in order to discover their intended meaning, having regard to the facts and circumstances of the case, provided that its interpretation does not go beyond the plain meaning of such agreement, writing, document or terms and is reasonable according to the trial court’s underlying findings. The court also held that it is further settled that it is sufficient in a construction contract to make a referral to arbitration, so that in case a dispute arises between the client and the contractor in respect of the construction contract, it is resolved through FIDIC’s General Conditions of Contract (standard form of contract for the International Federation of Consulting Engineers). This means that the parties agreed to arbitration in respect of all the disputes arising out of the obligations stated in the contract without the need to refer to the details of such condition, where the reference to it is sufficient. The Court of First Instance and the Court of Appeal accepted the plea of arbitration based on an arbitration clause that was clearly intended by the parties to resolve their disputes by arbitration. This is a sound interpretation consistent with the plain meaning of the contract. The test for granting a request to dismiss a case based on the existence of an arbitration clause, as held by the Court of Cassation, is whether the defendant had invoked the arbitration clause at the hearing at which he made his first appearance in court, even if the matter had come before the CASD without such plea having been raised. This is because CASD’s referral of the matter to court following the failure of amicable settlement attempts is not a grievance or challenge against CASD’s decision but a fresh submission of the Claimant’s request before the court for the first time. In other words, the referral of the matter to CASD is a preliminary step which must precede the filing of court proceedings. Such a referral is not a tier of litigation that would lead to a ruling that the defendant had waived the right to plead lack of jurisdiction (based on an arbitration clause) in court because he did not raise such plea before the CASD. This is not changed by the Appellant’s reliance on the provisions of the CASD’s establishing law, which essentially provides that the CASD is an integral part of the Dubai Courts while not constituting the CASD as a tier of litigation. In taking this approach and accepting the plea of lack of jurisdiction based on the arbitration clause because it was raised at the first hearing in court, the Court of Appeal was correct as a matter of law and the challenge to its decision was accordingly dismissed. Based on the foregoing, the appeal was dismissed. Article 84 of the UAE Civil Procedure Law provides that the plea of lack of jurisdiction must be made to the court prior to invoking any other procedural plea, request, or defence. As mentioned above, and notwithstanding the fact that the CASD is an integral part of the Dubai Courts, a party can still raise the plea of lack of jurisdiction at the first court hearing despite not raising the plea at the CASD.